How many of you are fans of Apple, not the fruit, the company that makes the iPhone? I became a fan several years ago because of my senior pastor. He bragged and bragged about their products, until I finally broke down and got the iPhone, then an iPad, then an iMac, and eventually a Macbook. Over the years I’ve fallen in love with their products, but I have to admit something…there are other companies that make products as good, if not better, than Apple. I don’t keep buying Apple products because they’re necessarily the best. I keep buying because of the culture Apple has created. So, if you’re having a hard time getting people to serve in the church, then you may want to take a long hard look at your culture. 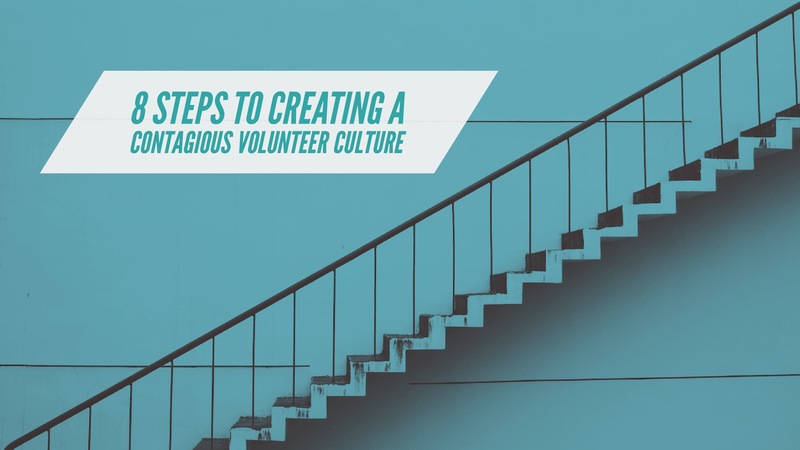 If it’s not working for you, you may want to try these eight steps to create a contagious volunteer culture. Raise Awareness. Ephesians 4:12 says that Jesus gave pastors the job of equipping His followers to do ministry. That means ministry isn’t something only pastors do, ministry is something we all do. Each of us has a ministry. You need to make sure people are aware of this. Have a Compelling Vision. Your vision should not only excite you, it should excite others. When my pastor was talking about the latest Apple product, he did it with excitement, which peaked my interest. Not sure what your vision is? Check out this post to help discover it. Tap a Shoulder. Many pastors ask for volunteers from the stage and have limited success. Don’t stop asking from the stage, but teach your leaders to tap a shoulder. You are ten times more likely to gain a volunteer from a one on one conversation than you are from asking from the stage. Develop Leaders. Speaking of leaders, you need to take time to develop them. They need to own the vision and be able to communicate it clearly to potential volunteers. The best leaders are those who have influence and a positive attitude. Change the Language. Try to never say the word need. For example, never say we need more nursery workers. Instead of needs, you have opportunities. We have an amazing opportunity for you to love on some babies. Also, try to avoid saying, “I have to serve today.” Instead develop a culture of saying, “I get to serve today.” There’s a big difference. Create Job Descriptions. Many people hesitate to volunteer because they are uncertain of what’s required. Job descriptions eliminate this issue. If you don’t have time to develop your own, send me a message, and I’ll send you ours. Offer a Trial Period. Another reason people hesitate to serve is because they’re afraid they’ll be stuck doing something they don’t enjoy. You can get around this by offering trial periods. I would make the trial period no longer than 3 months. Anything longer than that starts to give people anxiety. Show You Care. One of the worst things you can do is recruit a new volunteer and never follow up with them. Don’t make this mistake. Make sure you develop a system to check on new volunteers periodically and show them you care. What would you add to this list? Let me know by leaving a comment below, and don’t forget about the Small Town Big Church Coaching Network launching this fall. You can find out all the details here.